"enriched" began with my curiosity about divination, but were eventually driven by my desire to find comfort in the face of an uncertain future. Throughout the process, I visited readers and clairvoyants videotaping sessions only if the participants felt comfortable in front of the camera. Desiring anonymity, some readers agreed to be taped without their face being shown. Others refused either for personal reasons, or because they believed that the guiding spirits would not communicate in the presence of a camera. Within the intimate spaces created by the readers whether in private or public areas, I had conversations with individuals who were determined to provide me with answers about my future in art despite their lack of knowledge of me or experience in the subject. 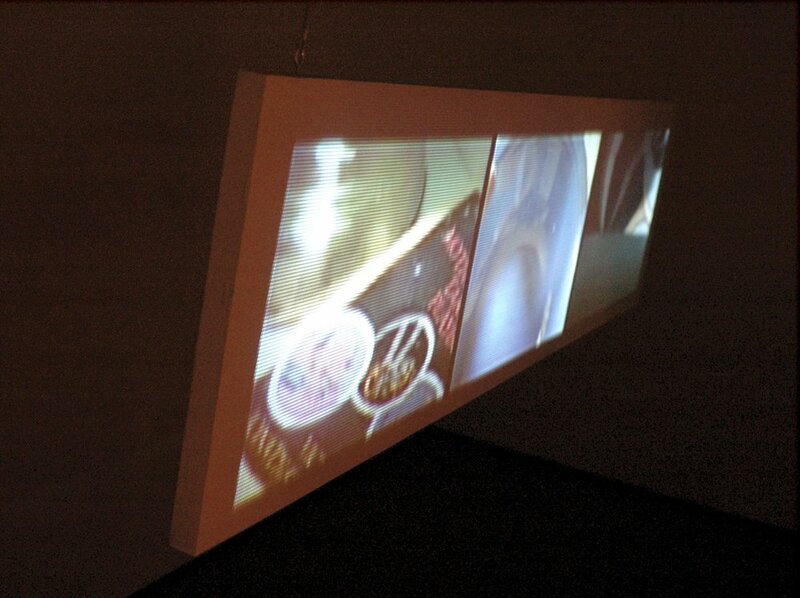 The three-channel video format and fracturing of time and space express the process of memory and the way in which meanings are sometimes fleeting and short-lived.